Happy Saturday! I’m so excited for this weekend. The first reason I’m excited about this weekend is that I get to pick up my new glasses today. I had my eyes tested last week and I need some new lenses, and after having a look around I found some frames which I really really love. As soon as I tried them on, I just knew that they were the ones for me. Because usually, it can take me a long time to find a pair of glasses I like! Also, the second reason why I’m excited about this weekend is that where I live, they are holding this years beer festival. I haven’t been to it before, so my friend and I are going to go. Well, as long as the weather is nice, as it’s kind of been raining a lot during last night and today. But it will be nice to have a catch-up and listen to some live music, and just have a good time. Lastly, I’m excited about this weekend, because I’ve got it off work. Which means I can watch lots more episodes of Friends, which is what I’ve already been doing! So that’s my weekend all planned out. What are you up to this weekend? Brilliant and clever, this is a fantastic read. It’s a modern fairytale with a touch of The Wizard Of Oz. When I first saw this book, what really grabbed my attention was the front cover. Connections to this will become more apparent when reading! But it really sets the tone of the book. Despite what has happened in the story, it contains humour and is a great and fun read, with a whole new twist on what happens after. Lorna is the main character of this story and is trying to come to terms with the reality that she has died and is somewhere quite far away and not what she quite imagined it to be. When Lorna first wakes up after what she lasts remembers, being hit by a car, she automatically thinks that she is in hospital. After wondering why no one has come to visit her and that her family must wonder where she is and Lorna wants answers. As one of the people looking after her, leaves the door open, Lorna uses this as her chance to find out what is actually going on. It’s then that it becomes apparent she isn’t where she thought she was. The author has created fascinating characters, which have their own truly unique personalities which really showed throughout reading. It is very cleverly written, especially with the concept of how, when someone dies, they are actually transported to a ‘ship’ called HVN where the captain is God. The author has chosen to do a very clever different take on the afterlife and on what the story shows heaven to be like. This book is definitely not like anything I have read before but in a really good way. There are many humorous moments throughout, especially where the ‘crew’ of HVN have decided to choose to look like famous celebrities. (One of the many things they can choose when arriving in HVN). I really liked the back stories of Lorna and getting to know her much better by re-living her past memories, especially as Lorna was trying to remember things from when she was alive. After Lorna arrives in HVN, her memory is a little fuzzy and takes a while to fully come back. 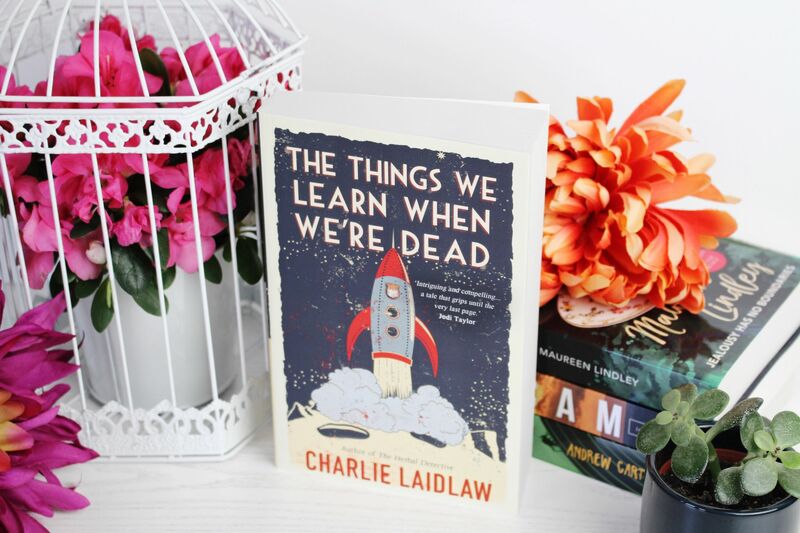 Lorna is a very likeable character and the chemistry and conversations between the characters, which is very relatable, make a very light-hearted and fun read. This book really got my attention from the very beginning and my love for the story grew with every page read. It shows how a young woman, who has been through so much, looks back on life and goes through the past, reminiscing about distant memories, love and loss and second chances. This is such a brilliant, refreshing book to read. I highly recommend giving it a read if you’re looking for your next favourite book of 2018. 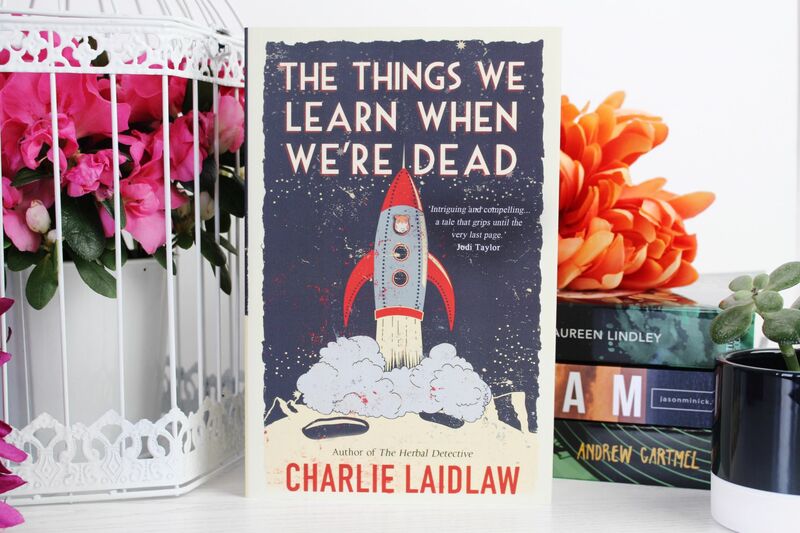 The Things We Learn When We’re Dead is FREE to download on BookBub for a limited period between the 13th and the 27th June.